Our product range includes a wide range of flexo eight color printing machine, eight colour flexo printing machine, paper cup blank printing machine, hdpe bag eight colour flexo printing machine, paper cup blanks printing machine and non woven bags printing machinery. We are pleased to introduce that, we are one of the leading manufacturers of Flexo Eight Colour Printing Machine,Polythene Printing Machine, PP Woven Bag Printing Machine,Non Woven Bag Printing Machine and Cloth Bag Printing Machine etc.Mohindra Mechanical Works is Asia largest manufacturers and exporters of Printing and Packaging Machine. We are pleased to introduce that, we are one of the leading manufacturers of Eight Colour Flexo Printing Machine,Woven Bag Printing Machine, Polythene Printing Machine, PP Woven Bag Printing Machine and Non Woven Bag Printing Machine etc.Mohindra Mechanical Works is Asia largest manufacturers and exporters of Printing and Packaging Machine. 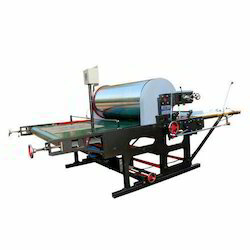 We are pleased to introduce that, we are one of the leading manufacturers of Paper Cup Blank Printing Machine, Sheet Fed Flexo Printing Machine, Plastic Bag Printing Machine,PP Bag Printing Machine and Single Colour Flexo Printing Machine etc.Mohindra Mechanical Works is Asia largest manufacturers and exporters of Printing and Packaging Machine. 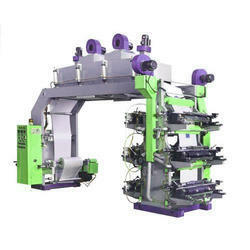 We are pleased to introduce that, we are one of the leading manufacturers of HDPE Bag Eight Colour Flexo Printing Machine,Sheet Fed Flexo Printing Machine, Plastic Bag Printing Machine,PP Bag Printing Machine and Flexographic Woven Sack Printing Machine etc.Mohindra Mechanical Works is Asia largest manufacturers and exporters of Printing and Packaging Machine. 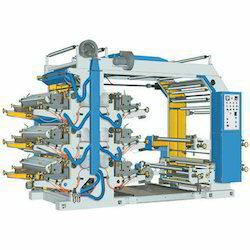 We are pleased to introduce that, we are one of the leading manufacturers of Paper Cup Blanks Printing Machine, Woven Bag Printing Machine, Polythene Printing Machine,PP Woven Bag Printing Machine and Roll to Roll Flexographic Printing Machine etc.Mohindra Mechanical Works is Asia largest manufacturers and exporters of Printing and Packaging Machine. Max Bag Size (inch X inch) 30" x 52" to 63" x 52"
We are pleased to introduce that, we are one of the leading manufacturers of Non Woven Bags Printing Machinery, Flexographic Woven Sack Printing Machine,Woven Sack Printing Machine, Roll to Roll Flexographic Printing Machine and Single Colour Flexo Printing Machine etc.Mohindra Mechanical Works is Asia largest manufacturers and exporters of Printing and Packaging Machine.We use of superb components for designing this printing machine along with modern technology at our own manufacturing unit. 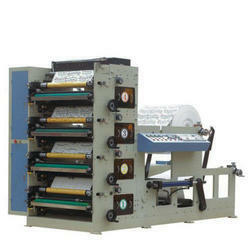 For the conformity of its quality our quality department perform series of tests o this printing machine. 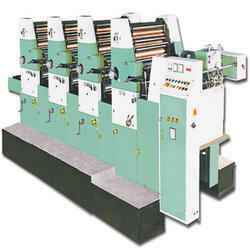 Furthermore, we offer our printing machine according to the necessities of the customers at nominal rates. We are pleased to introduce that, we are one of the leading manufacturers of HDPE Bags Printing Machinery, Multi Colour Flexo Printing Machine, Paper Printing Machine, Flexographic Woven Sack Printing Machine and Woven Bag Printing Machine etc.Mohindra Mechanical Works is Asia largest manufacturers and exporters of Printing and Packaging Machine. our team of experts completely designs this printing machine by using top notch quality components and modern techniques as per the industry standards. Along with this, it is tested on numerous parameters to reassure its flawless range. 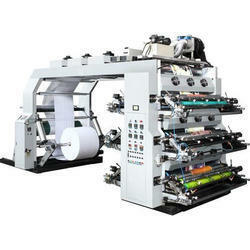 Looking for Non Woven Bag Printing Machinery ?